From $60 into a 6-figure business. 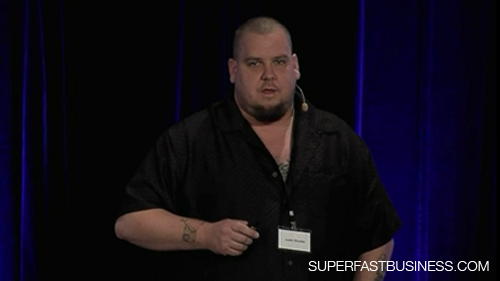 Justin Brooke shares his best actionable content and ad principles that led him to be called the future traffic kingpin, in this great session from the SuperFastBusiness 9 live event. 02:01 – These are GIANT advertisements! 11:13 – Who’s doing content advertising? Create content that sells. [Click To Tweet]. Why start doing content advertising now? [Click To Tweet]. Promote content with the best networks. [Click To Tweet]. James: What we got next is the bigger version of what we just saw there. That was a little Brooke; we’re going to get the bigger Brooke. So Justin Brooke turned $60 into a six-figure business. I’ve known Justin for quite some time. He came on my radar when he was flipping sites, buying and selling them. He has worked in some big operations, he’s gone out on his own, he’s got a very successful traffic agency, he’s right in the thick of it with all the best traffic practice. And what I also should say is that sometimes we’ve been fierce rivals in the traffic scene, competing for things, and now we’re best of friends. So I really think you should gauge yourself by the size of your competitors, and Justin has a big reputation. If I project a few years from now, I could see that on the traffic scene he’s going to be like the kingpin. So we’re very lucky to have a good session here and we’re going to learn some great stuff around traffic and conversions as well. So please welcome, all the way from the USA, Justin Brooke. Justin: Thank you, man. I was really worried what surfing picture he was going to choose. He was very nice to me, not using my picture. It would have been great. All right, so does anybody know what this picture is up on the screen, can you raise your hand? Go ahead. I saw you first. 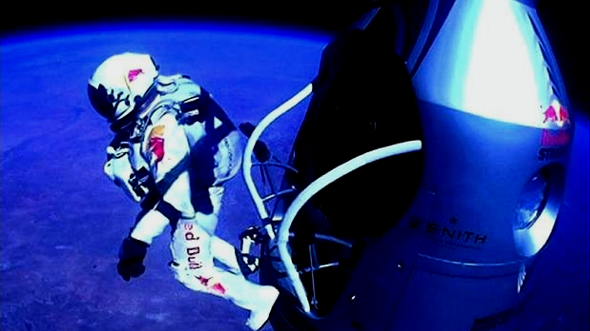 It’s Felix Baumgartner. And he did the highest freefall jump ever. Jumped from space back down to Earth, and had a parachute. And the whole world was tuning in to this; I know I was standing still with James. So the whole world was tuning into this at the same time, on YouTube. It has 36 million visitors, but there was hundreds of millions of visitors during the time when this was running live. And actually, what this is, is a giant advertisement. This is an advertisement for Red Bull. This is the only type of advertisement Red Bull does now. They no longer advertise their product. They only use content to advertise their product. Anybody know who these people are? I’m in Australia, this is a US show, so this might not go over too well. This here is Luke and Laura, a famous couple from “General Hospital,” which is a soap opera over in the States. And a quick history lesson on soap operas. They were created by companies like Dove soaps, Procter and Gamble, Johnson and Johnson, so that they could reach their target market, which was the stay-at-home moms. So they created content in order to gain the attention of their market so that they could then advertise their products to them. And these things are still running decades later, afterwards. I don’t know if it’s a hundred years, but they’ve been going on for quite a while, and these guys, they do not look like that anymore. 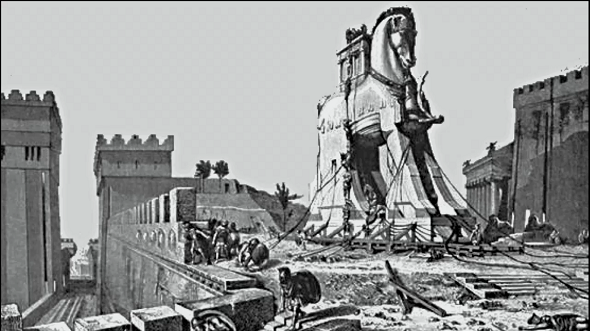 So the reason why people are using content in their advertising these days, and I’ll show you that they’ve been doing it for a long time, is because it’s like a Trojan horse. You slide in under the customer’s radar. They’re not in their skepticism mode of trying to figure out what you’re pitching them and what the price is and are you reputable. They’re just enjoying the content and they’re building trust and rapport and all these other things that I’ll talk about. But it’s like the old Trojan horse where they presented a gift, and they got past the defenses, and then they were able to accomplish their mission. 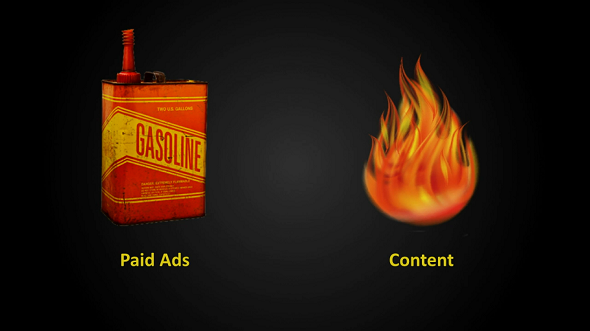 And what I’m here to tell you today is that if you use the power of content marketing, and you combine it with the power of paid ads, it will be like gasoline on a fire. This is the only type of advertising I do today, and it’s how I gain all of my customers. I’m sold out on my coaching program; I’m sold out on my client list right now, all because of what I’m telling you here today. So this has been being done for a long time now, this is some of the old guides that have come before me. 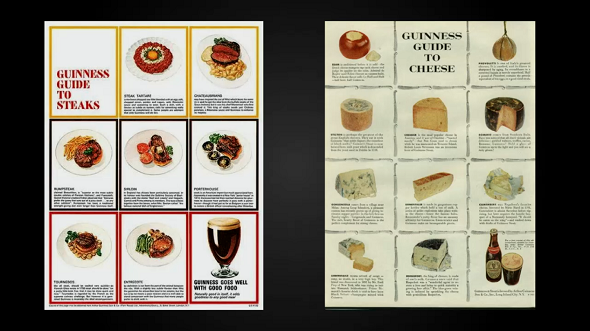 This is Guinness beer and how they used to advertise their product in bars and in restaurants. They would supply these signs which were educational. It would help the restaurant and the bars sell more food and they would also be able to sell more beer. So this has been being done for tons and tons of years. Our grandparents would have seen this. Holy cow, Justin; you just earned yourself a subscriber. There are some pretty sweet takeaways and can say that in the first ten minutes of watching, this page was added to my Favorites in Pocket. Great stuff as always James. I took some serious notes here.